FAYETTEVILLE, Ark.  Hosting the programs first-ever NCAA Regional, the No. 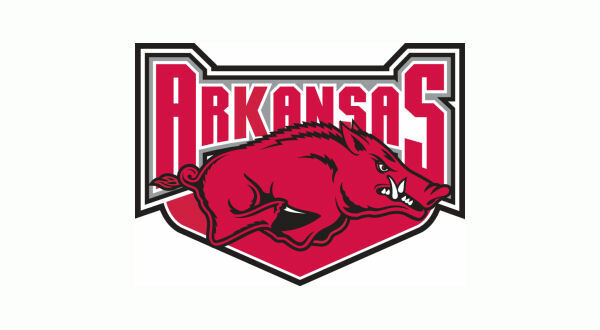 13 national seed University of Arkansas softball team continues its postseason Friday afternoon against DePaul. The teams NCAA opener will begin at 4 p.m. (CT) and be televised on the SEC Network. For the first time in program history, Arkansas will host the NCAA Tournament as the No. 13 national seed. This marks the programs eighth NCAA appearance, and second under head coach Courtney Deifel. The Razorbacks are one of 13 SEC teams in the NCAA Tournament, and one of nine to play the opening round on its home field. Fridays NCAA opener against DePaul marks just the second meeting between the two teams, and first since 1998. The Razorbacks are tied with Oklahoma State, 7-7, in that all-time series, and own a 5-4 edge over Wichita State. Arkansas bowed out of the SEC Tournament with a 3-1 loss to No. 12 South Carolina in the semifinals. Senior A.J. Belans drove in the teams lone run with a sac fly in the top of the sixth inning. She finished the week with four RBI. In the programs best showing at the SEC Tournament since 2001, Arkansas posted wins over No. 19 Kentucky and No. 8 Georgia, the tournaments No. 2 seed. The teams eight runs against Georgia were the programs record for runs in an SEC Tournament game. For their output during the SEC Tournament, Mary Haff and Katie Warrick earned spots on the all-tournament team. In three appearances, Haff was 2-0 with a 1.08 ERA. At the plate, Warrick hit .444 with two doubles and scored twice. Both Mary Haff and Hannah McEwen were recognized when SEC year-end honors were released. Each earned spots on the All-SEC Second Team and SEC All-Freshman Team. Haff was 10-5 with 87 strikeouts during league play while McEwen hit .293 with 13 RBI. Mary Haff has been named a top-10 finalist for the Schutt Sports/NFCA Division I National Freshman of the Year. She enters the NCAA Fayetteville Regional with a 26-6 mark in the circle and 226 strikeouts. She is one of three pitchers on the list. The top-three finalists will be named May 23. Arkansas enters the weekend fourth in the SEC and tied for 34th in the NCAA with 53 home runs. The team also ranks seventh nationally in strikeout-to-walk ratio (4.69) and 36th in team ERA (2.27). The Razorbacks are just outside of the top 50 nationally with a .451 slugging percentage.